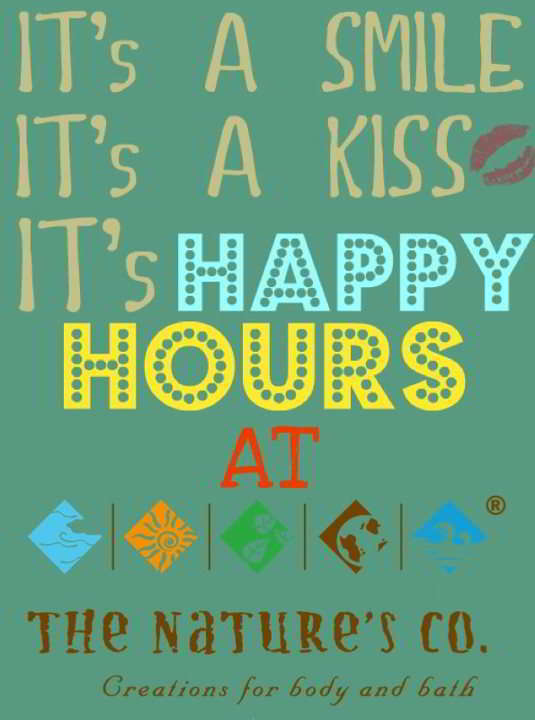 The Nature’s Co. announces Happy Hour discounts on every Monday, Wednesday and Friday from 1st April – 30th April between 12.00 pm – 4.00 pm. Visit the store at this time and get 10% discount on purchase of 1 product, 20% discount on 2 products and 30% discounts on 3 or more products. Terms and Conditions Apply.